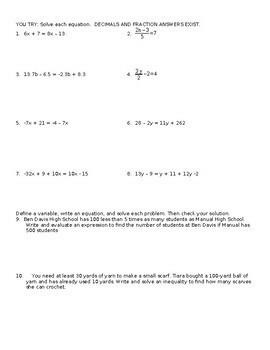 This short two week unit is a great introduction to Algebra 2. 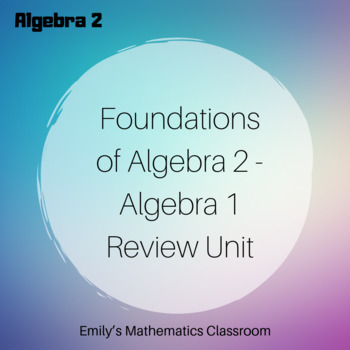 The unit has everything you would need for two weeks of lessons, including an Algebra 2 Pre-Test, weekly Do Now questions, notes, review activities, one quiz, and one unit test. 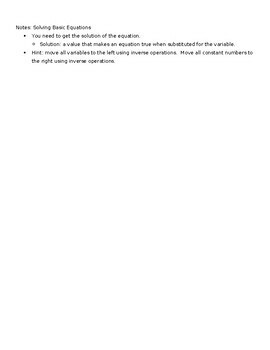 Content includes a review of solving linear equations, linear equation word problems, prime numbers/prime factorization, and basic exponent rules (negative and fractional included). There are pdf and docx versions of each file and answer sheets for each set of notes and assessments.